Tired of papercrafts for Valentine’s Day? I remember the aftermath of several Valentine’s Day parties, with paper littering the ground. Confetti, cards, bags, plastic, and wrappers were all signs of affection, except to the person who then had to clean it all up. Next Valentine’s Day (or a few weeks leading up to it), you can try something less messy and more likely to stick around, gifts that mean something because you spent time making it yourself instead of picking it up at the store during a mad dash the night prior. There are dozens of ways to incorporate more love into the holiday in the shape of these crochet cuties. Choose your own colors, pick a yarn and hook, and experiment. You could make small ones and sew them together for a garland. You can make bigger ones for hot pads or coasters, or large hearts that can serve as rugs and mats. 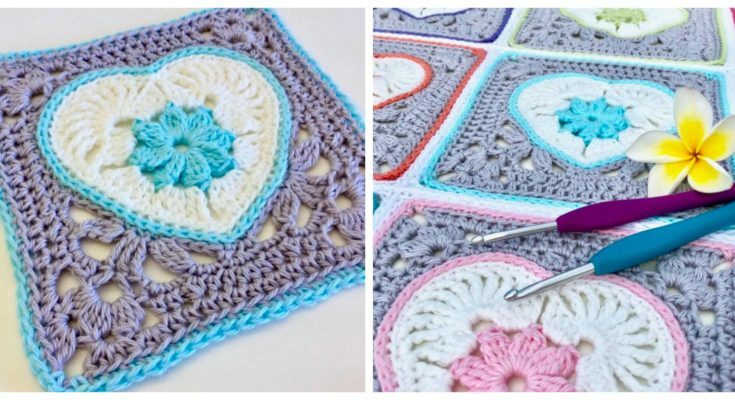 You could even make these into granny squares, crocheting one a year for a child’s Valentine’s gift, and they can sew it up when they reach their 18th Valentine’s Day. However you decide to use them, they will be infused with love. Ready to spread the love? You can find the complete written instructions, photo tutorial, and materials list all for free here. If you prefer the heart projects we’ve showcased below, you can find the patterns here, here, and here.